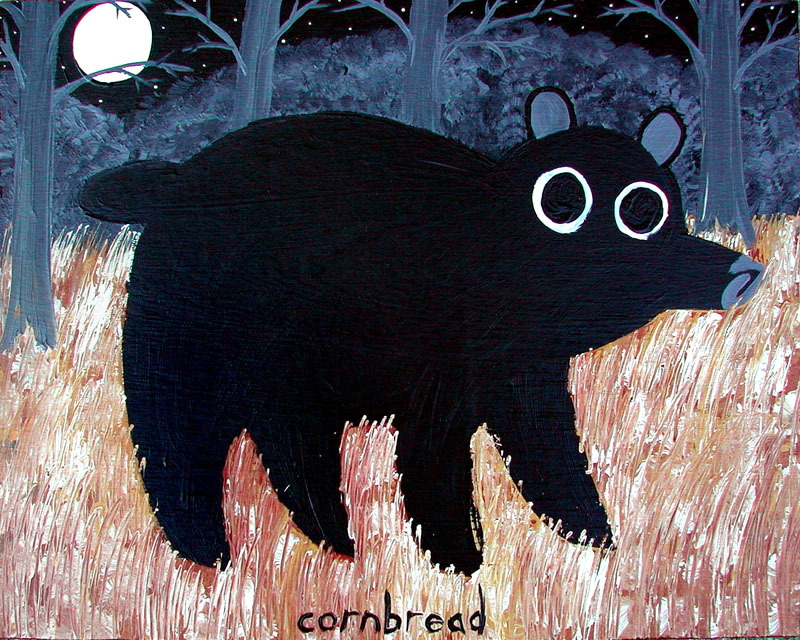 Cornbread, as family and friends know John Anderson, was raised on a farm in Lumpkin County, Georgia. 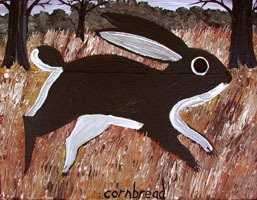 He had no interest in painting until 1995 when he started painting his life experiences on pieces of wood and cardboard. 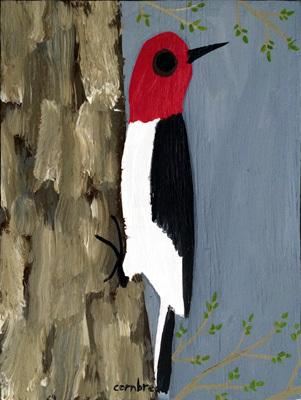 After his house began to overflow with his artwork, he loaded up the trunk of his car with paintings and set out to find anyone who might be interested. 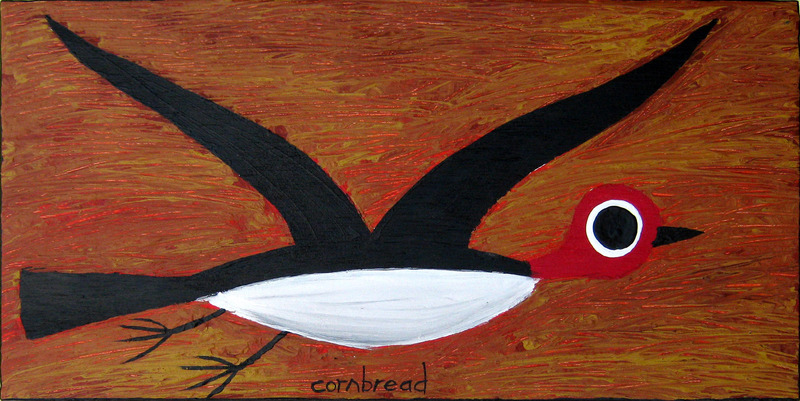 He is a religious Southern gentleman who “can’t reckon why anyone would want his paintings.” Collectors and dealers all over the country snap his work up at Atlanta's annual Folk Fest, so we reckon his work is pretty good. 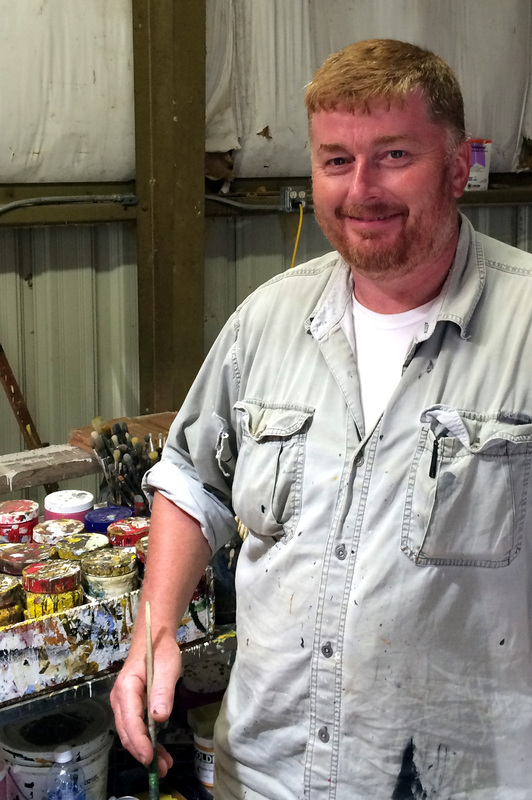 He paints animals from the farm he works and the woods he hunts. 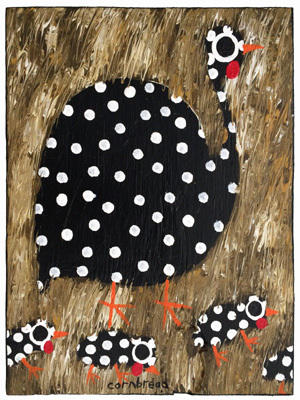 Using bright acrylic colors and preferably large pieces of wood, he captures rural life that is fast being pushed out because “Atlanta is practically here”. 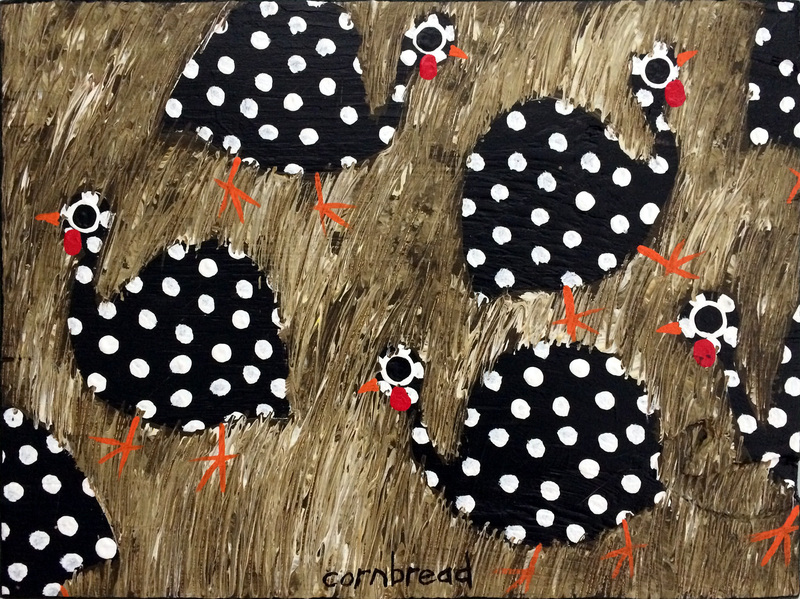 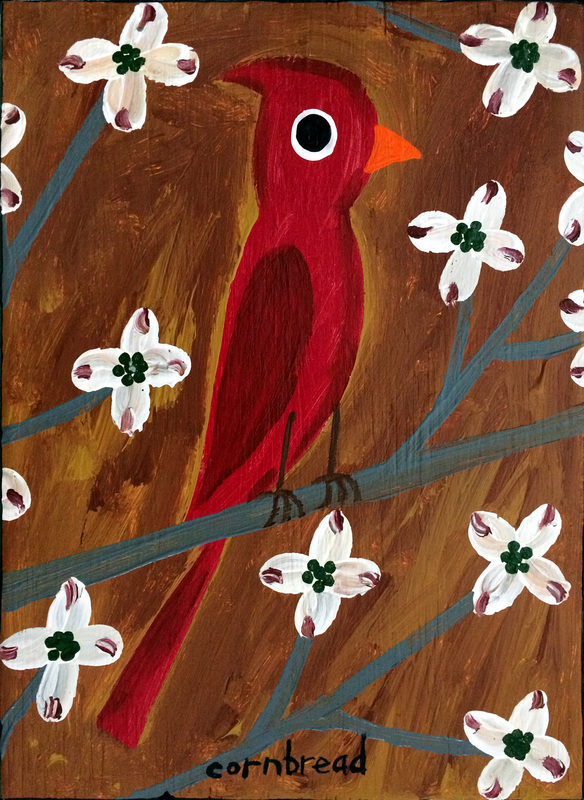 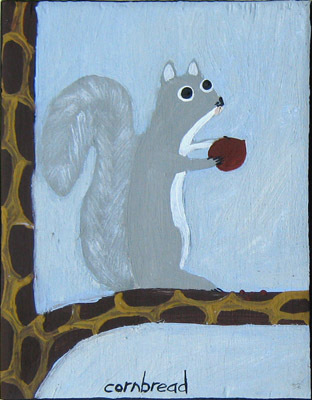 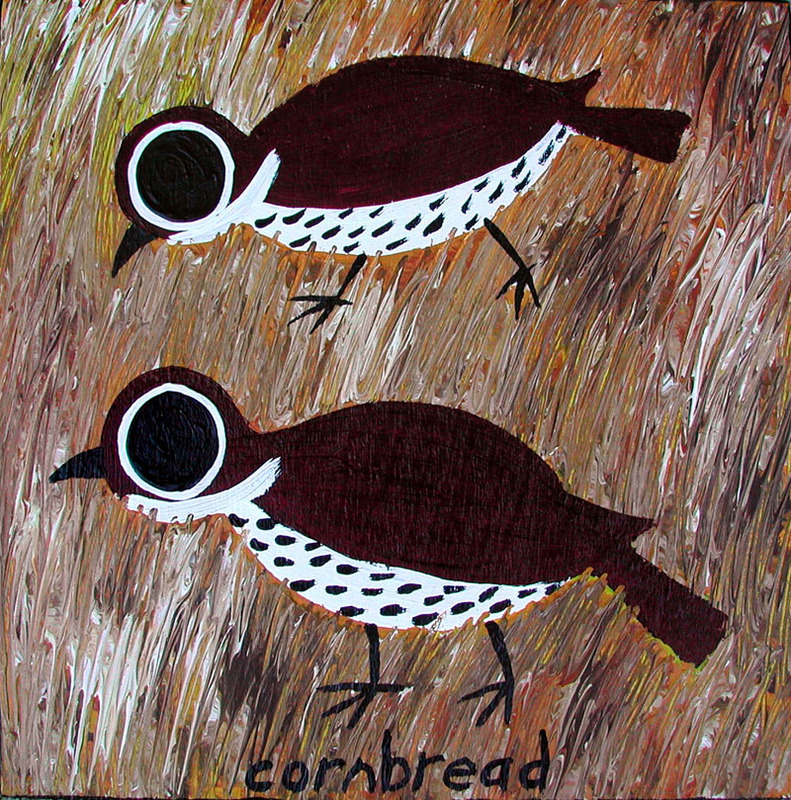 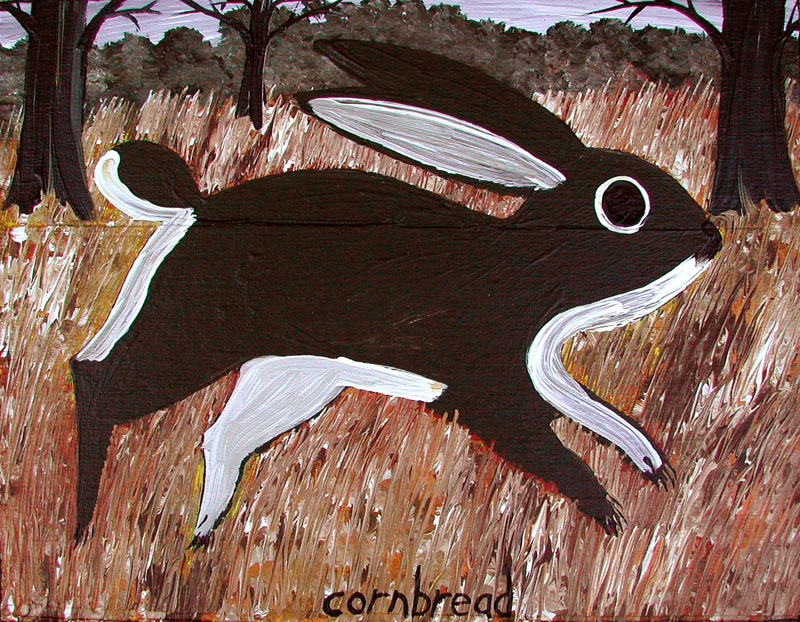 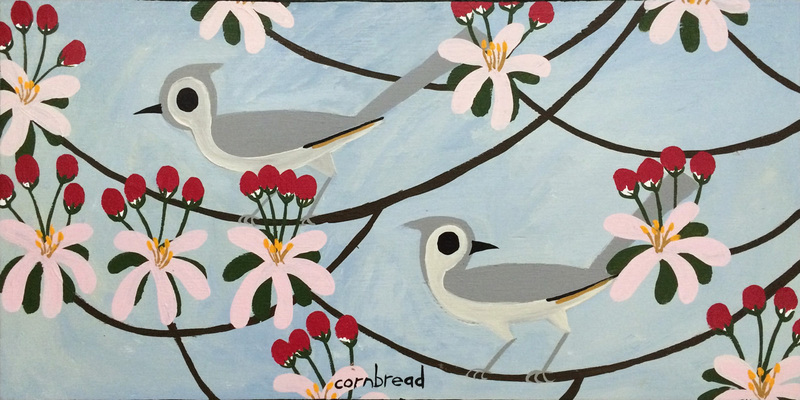 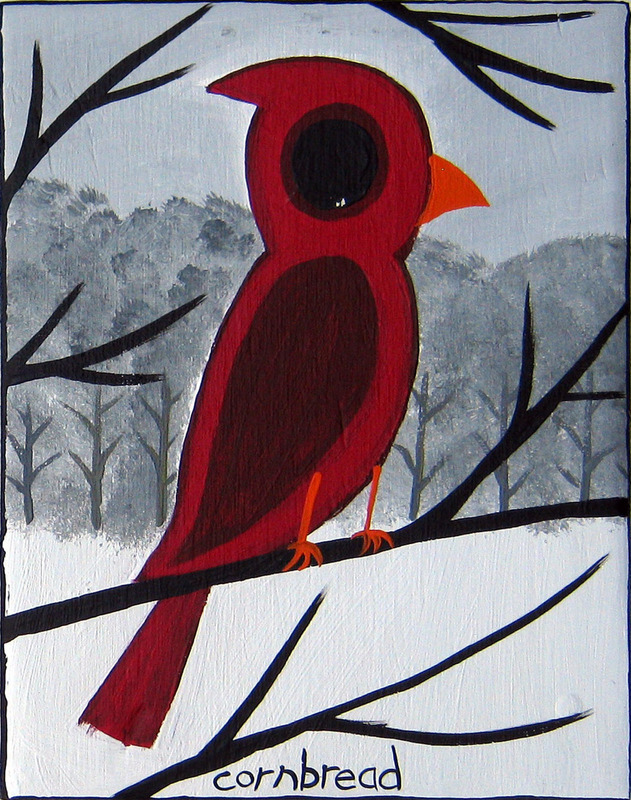 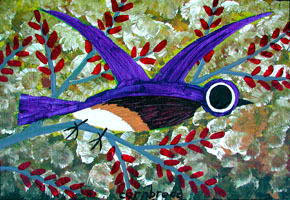 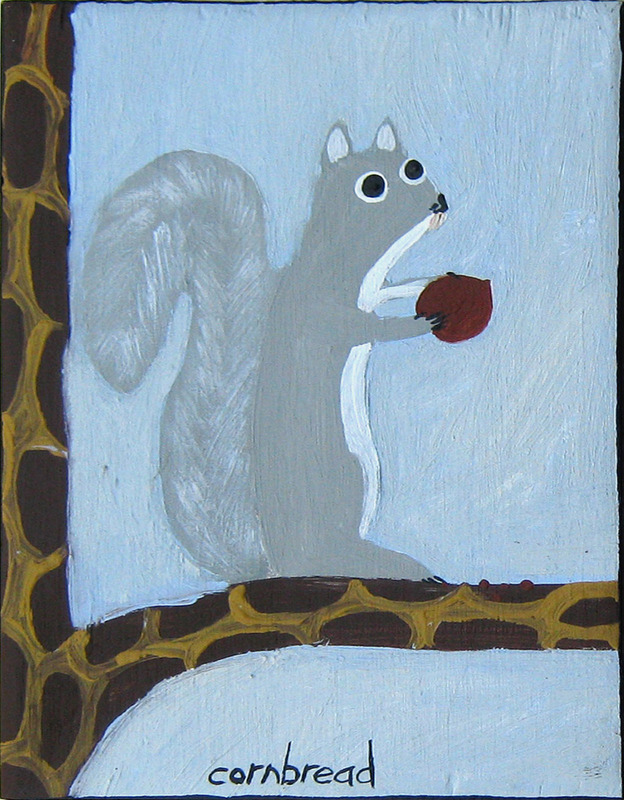 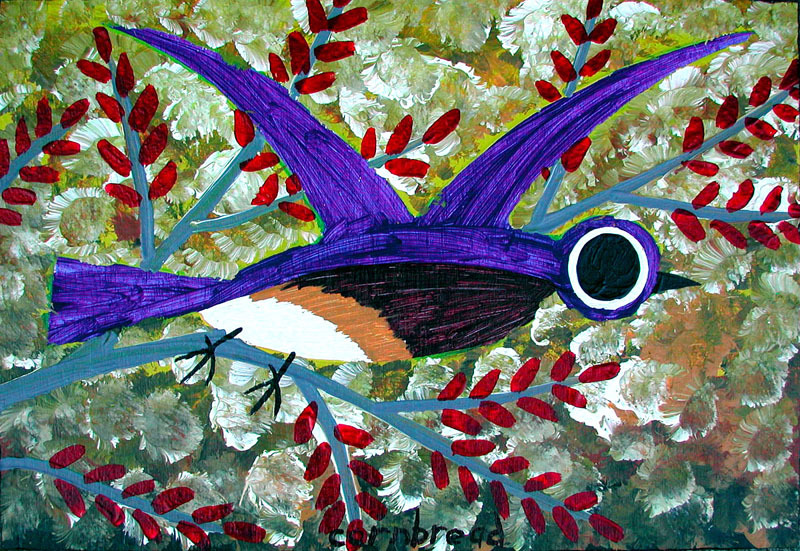 Cornbread is a true self-taught folk artist who paints for the pure joy of painting. 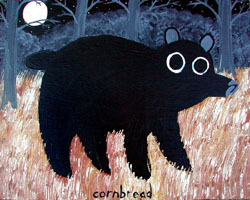 The Cornbread paintings below have already been sold. 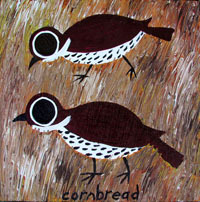 We thought you might enjoy seeing them. 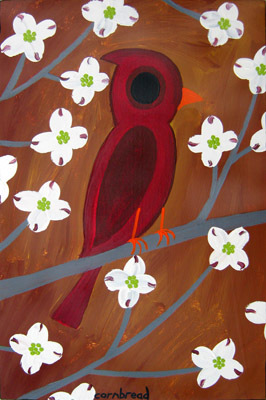 When we get more, you'll see it here.